All purchases processed through PayPal. 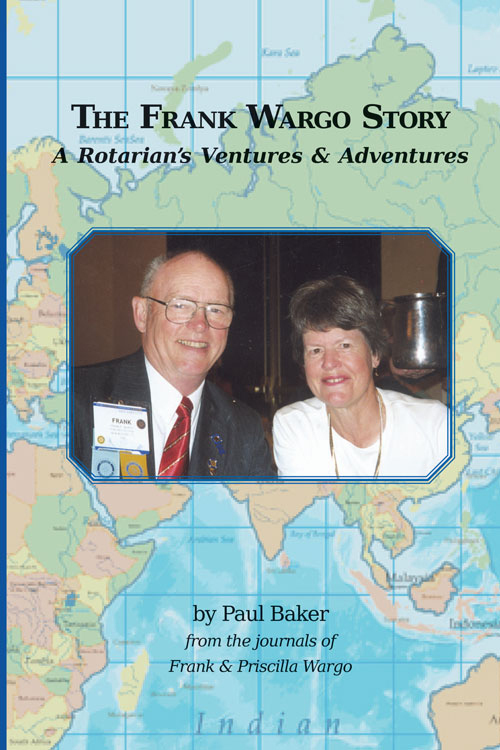 This book is dedicated to the 1.2 million members in the 34,000 Rotary Clubs worldwide who have long been devoted to the Rotary motto, Service Above Self. It is also dedicated to the Wargo family. Without their support and encouragement, Frank’s missions could not have been possible. The Frank Wargo story begins long before his humanitarian trips to the impoverished corners of six continents. This book chronicals Frank's early life through to the present day and his many journeys along the way. Proceeds from the sale of this book benefit Rotary's eye health program. Copyright © 2013 Arkett Publishing. All rights reserved.